Renovations such as moving or removing walls can greatly improve your home’s layout. Not to mention the therapy demolition can provide! *Sidenote: Make sure there’s no plumbing before you go swinging the sledgehammer! Removing walls also provides the perfect opportunity for ceiling texture removal. Once a wall is removed, there will be a section of ceiling that is missing the popcorn texture. 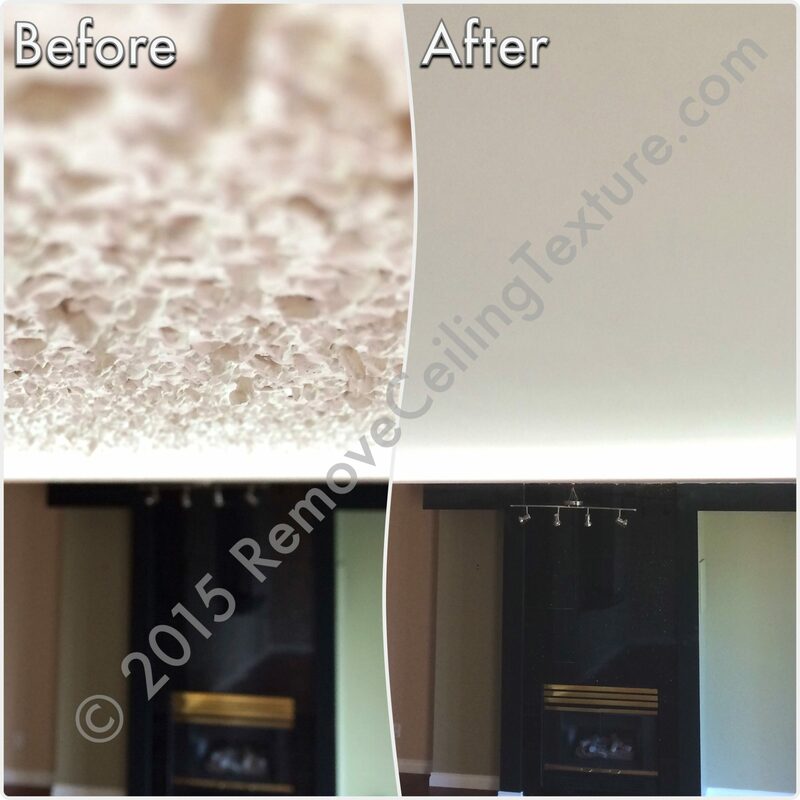 At RemoveCeilingTexture.com, we can remove the texture on your ceilings and blend the missing area in with the rest of the ceilings to give you a seamless look. We’ve dealt with this many times. In downtown Vancouver, a couple was renovating their Burnaby Street condo with guests in mind. They had removed a closet wall in their den for a murphy bed installation. We were called in to repair the ceiling and remove the popcorn ceilings throughout the condo. Once we were finished, the ceiling showed no visible sign of the former wall. We saw this again in another Vancouver condo on Homer Street. A wall had been removed and there was a large strip of concrete ceiling that was unfinished, and without ceiling texture. The homeowner decided to have us smooth all of the ceilings instead of applying new texture to try to match the existing texture. This was a smart move, as it’s nearly impossible to match it exactly. A young couple in Langley recently updated their home by removing walls dividing the kitchen from the living and dining rooms. It opened up the floor plan nicely, but they were left with strips of ceiling that they didn’t know how to finish. We were contacted to remove the ceiling texture everywhere and resurface the entire ceiling so that it was one continuous surface. If you’re going to be moving or removing walls, contact Vancouver’s ceiling experts, RemoveCeilingTexture.com for ceiling repairs. Call us at 604-420-7578 for a FREE quote or send us an email. Are you moving or removing walls? Contact us today for a FREE quote on ceiling repairs!